This lengthy first mystery tells about an investigative journalist who learns that his gay brother has been murdered. The brother, Billy, was an artist who liked to paint pictures of men in a pornographic manner. Philip, the protagonist, decides to look into his brother's past. As he does, we learn of their mother, a successful artist and her agent, Uncle Adrian who exploited her and initiated both boys in sexual activity. Police learn that a friend of Billy's was found murdered in Bermuda and that a person went into Billy's room at the hospital and did something to his computer. Police feel that what this man was looking for makes Philip in danger so they give him a protection detail. It turns out that Adrian liked being the agent for artists with young male children so he could manipulate the artist and seduce the boys. Philip has flashbacks to his and his brother's childhood when he remembers being initiated into sexual activity by Uncle Adrian. These details are told in explicit manner and in my opinion, don't add to the suspense of the story. Uncle Adrian was doing more that manipulating artists to seduce their children. Philip tries to trap him into coming to where an art treasure is hidden. The conclusion of which was well done. The author is a story teller and the book is extremely long and from the art point of view, well researched. I enjoyed the suspense and the connections that Philip found with the children of other artists. The story was well done but outside of my comfort zone. A possibility in a short story is that there isn't the ability to give a description of the characters. 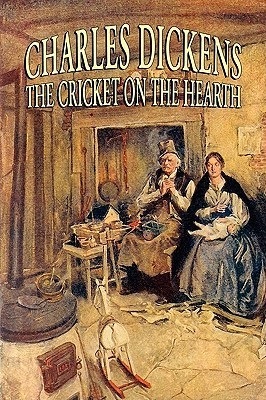 As a result, in this story, it took me a little bit of reading to find out what is happening with the characters and to understand what is meant by a cricket on the hearth. It made me confused at the start of the story. After a bit of reading, I could see that Caleb lives in an impoverished home with his daughter, Bertha, who is blind. He works for a toy maker, Takleton, who is rather insensitive. To make Bertha feel better about Caleb's boss, Caleb exposes his virtues. He does such a good job that Bertha falls in love with Takleton. Then she is devastated to learn that he plans to marry another. He even invites Caleb and Bertha to the wedding. However, someone is spotted in the kitchen and we wonder who this may be. It turns out that he is a character who was gone for a long time and has now reappeared. He is the true love of Mary, the woman who was going to marry Takleton. When Mary sees Edward, she knows it is he who she really loves and she and Edward marry. Everyone is happy at the conclusion, even Takleton doesn't seem that upset and he helps celebrate the wedding of the couple. The ending is nicely done. The short story came out as a Christmas story and leaves the reader with a lesson of love and forgiveness. Exciting story with historical figures. 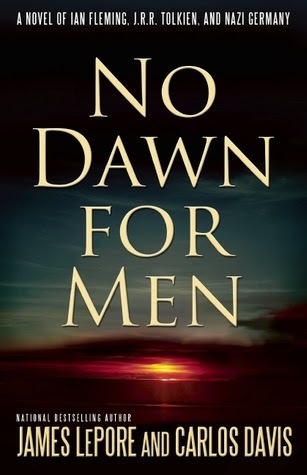 I found it interesting to read this thriller which includes the characters of J.R.R. Tolkien and Ian Fleming. They are in Nazi Germany in 1938 and witness the oppression against the Jews. Fleming is a reporter for "Reuters," while Tolkien is a professor of Nordic studies at Oxford and recently published "The Hobbit." There is an elderly, retired professor from Oxford who is in possession of a secret device that Henrich Himmler wants. From the opening lines, the reader is brought in to the suspense and intrigue that is taking place in the story. As a reporter, Fleming is very thorough and is able to analyze what is happening and view the consequences. We see excellent character build up and are fascinated when Fleming falls in love with the professor's daughter. The authors work well together and the story takes some of the concept of "The Hobbit" 'as the men are aided by a number of ageless dwarfs and have to find a secret cave. They all want to keep this secret device from the Nazi's which could make them even more powerful. The book has good literary association and as in "The Lord of the Rings," the professor wants to keep this device from the Nazis and if he wants to deprive them of it, he must destroy it himself. The plot moves swiftly and I enjoyed the characters and found it entertaining to think of them in history and to follow their actions. I could easily see this story being made into a film. Garrett Reilly is a well respected bond trader on Wall Street. He's a young hot-shot and notices a large sell off of US Treasuries by the Chinese. He analyzes what he's learned and determines that China is starting a cyber war against the United States. He's contacted by people in Washington. They noticed that he was far ahead of the financial analysists in knowing what was going on with China and they agree with his assessment. They want him to lead a team to strike back against China. He accepts. However, he comes to realize that some people in Washington are telling him the truth and others have their own agenda. The story unfolds rapidly and we come to learn of a young rebel in China, Hu Mei, also known as The Tiger. She is a leader of a protest movement there and has many secret followers. There is good character development as Garrett picks the team of computer analysists and finical experts to work with. He's a scrappy guy and sometimes likes a break where he can get a few drinks in a bar and if a fight develops, he doesn't mind getting involved with that. Drew Chapman has a talent for writing a good story but it's best if the reader leave their sense of reality behind, as when, only a short while from determining about the possible cyber war, he's having a meeting with the President. 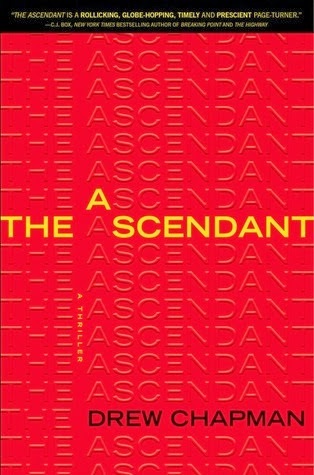 I enjoyed the book and found it a very exciting and interesting read. Family saga with events from 1860-1900 in their new life in Texas. This is a family saga of the Tolivers who made their fortune with their cotton plantation. This historical novel is carefully researched and follows Silas Toliver who was left out of his father's will after his father left the estate to Silas's older brother. 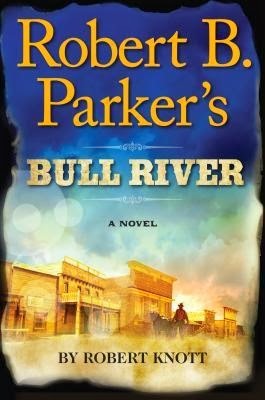 Silas resolves to move to Texas with his best friend, Jeremy Warwick and the woman he plans to marry. Jessica Wyndham is an eighteen-year-old who is an abolitionist. She has just returned from Boston to her family home in South Carolina. She tries to help a slave escape via the underground railroad and when the slave is caught, Jessica's part in his escape is revealed. Her father, Carson is one of the wealthiest men in South Carolina and tells his daughter she has the option of being sent to a convent or marrying Silas Toliver and going to Texas with him. Silas was engaged to another woman and Carson does something that makes Silas come to him to help fund this wagon train to Texas. He tells Silas that the price of his loaning Silas the money is to marry Jessica. Silas ponders his choices and chooses to follow his dream with Jessica. Because he is not marrying the woman his mother wanted for a daughter-in-law, his mother tells him that his marriage to Jessica will be cursed. Jessica and Silas have an interesting relationship and they eventually fall in love. The wagon train continues to Texas at the time of the Texas - Mexico war. With the story dealing with the time of 1860-1900. The reader learns of the Texas war for independence and events through the Civil War. Silas and his followers form the town of Howbutker, Texas which becomes very successful via cotton growth, commercial enterprises and the lumber industry. I enjoyed the family saga and seeing history through the eyes of the Tolivers. There is a lesson about love and following a person's dream with the novel being well written and enjoyable. I received a free book with the promise of a fair review and the ideas and opinions are my own. The book is scheduled for publication February 4, 2014. Rachel tells a story that should be a lesson for us all. Rachel is a family counselor. From the start of the story we can see that she cares deeply for the people she is trying to help. On the way home from the rehearsal dinner for her best friend, Rachel and the future groom flirt with each other in the car. As they reach her home, the man, Jack, manages to come into her home and once there, they become intimate. After the incident, we can see what a moral person Rachel is and imagine how devastated she must be at the betrayal of her best friend. She is torn between telling her best friend or not, luckily her brother gives her some solid advice. The wedding goes off as planned and then Rachel has to deal with her emotions and her husband. She considers if she should tell him and wonders how they could have relations after her admitted transgression. The author does a good job in letting us see how one mistake can ruin a person's life. Then we find Rachel helping a teenage girl who is having trouble with an older man she had been dating. Something amazing happens and the remainder of the story is told by Rachel's brother and the girl, Sarah that Rachel had been helping. 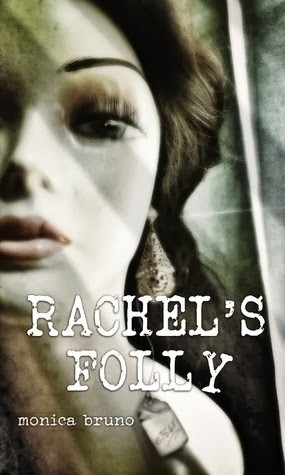 The novel is very readable and I enjoyed Rachel as a character. I also liked the development of the characters of Rachel's brother, Ben, and of Sarah. There was good suspense in the story and the author provided a major surprise to keep the reader's interest. Bull River, wait 'till the sun shines through. Lawmen Virgil Cole and Everett Hutch bring a wanted man to jail in a Texas town. They learn that the local bank has been robbed by the president of the bank who then escaped with his wife. The outlaw who they had brought to trial, Capt. Vasquez claims to know who the president of the bank really is and where he's headed. He forges an agreement that if he's let out of jail, he will lead the lawmen to where this robber is hiding. The story appears like an old time western with the heroes similar to those in "Lonesome Dove." They are competent and brave and have little use for lengthy sentences. A typical response to a question might be "is." The agreement with Capt. Vasquez is met and the trail leads to Mexico where authorities are convinced that the lawmen are after a reward for finding the bank president's wife. They want in on the reward money. The lawmen see through the Mexican official's goals and realize that they have to watch their backs. The plot moves nicely as we read descriptions of the south Texas and Mexican towns, the new railroads and whorehouses that populate the areas. Later, they are joined by another lawmen whose sheriff was killed by the bandit group they are after. The author is Robert Knott and the characters taken from Robert Parker. They are well described and refreshing. The conclusion is nicely done and the story is fast moving and easy to read. I'll be your king, dilly dilly, you'll be my queen. I've been a fan of David Baldacci since reading his novel, "Absolute Power." In "King and Maxwell" the story is tightly knit with the heroes finding a teenage boy running down the road with a gun. They learn that the boy is distraught because there are military men at his home to inform him that his dad was killed in Afghanistan. King and Maxwell are former Secret Service agents and want to help the teen since the boy refuses to believe that his father is dead. When the boy learns that they are PIs, he wants to hire them to look into his father's case. In a subplot, we learn that the boy's father, Sam Wingo, was delivering something in Afghanistan and something went wrong. He is accused of taking the cargo and he feels that he was set-up. King and Maxwell show their intelligence and make headway but are warned off the case by military police and a man from homeland security. The story unfolds gradually as we learn of the person who hatched the plot but not his name. The author does a good job of keeping the man's motives a mystery. The author's talent for story telling is evident and the characters ring true but are somewhat stereotypical. What is J.K. Rowling doing now? This complex novel opens when Cormoran Strike hires a temporary secretary for his PI business. Shortly thereafter Robin Ellacott begins work, a distraught man comes to the office and wants to hire Strike to look into the man's sister's suicide. Robin finds that she loves being a PI's secretary if she can't be the one solving the crimes herself. The customer is John Bristow who knew Strike from boyhood when Strike was a friend of John's brother who died in an accident. We follow Strike as he takes the case with reluctance and then begins questioning possible witnesses. We also learn that Strike was a former soldier who lost part of his leg in Afghanistan. The second part of the book moves faster as Strike meets and overcomes obstacles to his investigation. During this time he meets a number of interesting characters who work with models and entertainers. As the story moves toward its conclusion, Strike realizes how important Robin is to his work and he is able to get answers to what really happened to the man's sister. The novel was written by J.K.Rowling writing under the pseudonym Robert Galbraith and she does a good job in keeping the reader guessing about the outcome.